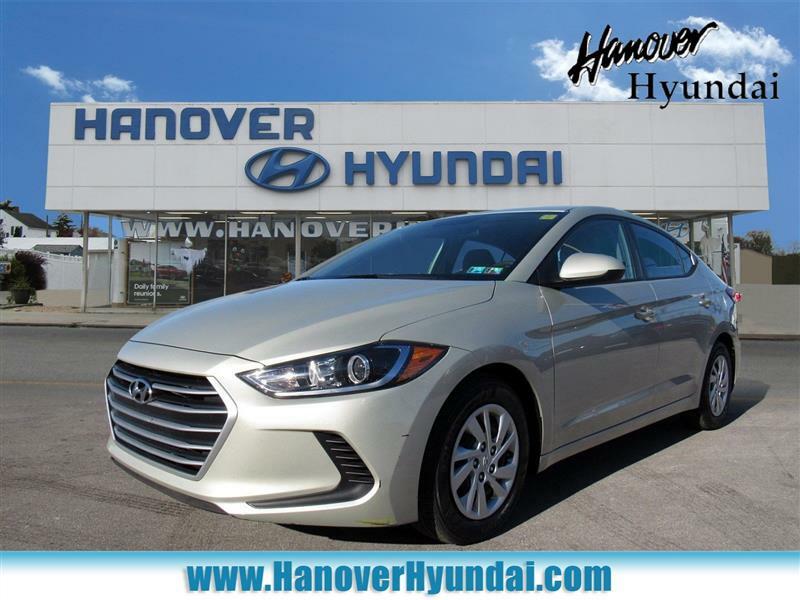 Every day inside our One Owner, Dealer Certified 2017 Hyundai Elantra SE Sedan in Mineral Beige will feel like a vacation! Powered by a 2.0 Liter 4 Cylinder that offers 147hp while paired with a 6 Speed Shiftronic Automatic transmission for easy passing control. An ideal balance of power and comfort, our Front Wheel Drive sedan helps you score near 37mpg the highway with the kind of smooth acceleration you dream about!Step into the SE cabin to find generous head and legroom for all passengers; enough to classify our Elantra as midsize rather than compact. Designed with your needs in mind, everything is correctly in place and comfortable. Settle into the supportive front seats and enjoy the Bluetooth hands-free phone system, touchscreen display with Android Auto, and other top-shelf amenities.Our Hyundai also rewards you with peace of mind thanks to its Superstructure high strength steel side impact beams, a backup camera, airbags, ABS and a Vehicle Stability Management system. Safe, stylish, and efficient, our Elantra SE certainly stands out from the competition and is an intelligent choice for you! Print this page and call us Now... We Know You Will Enjoy Your Test Drive Towards Ownership!